Compact, Battery Operated, Digital Weight Indicator. 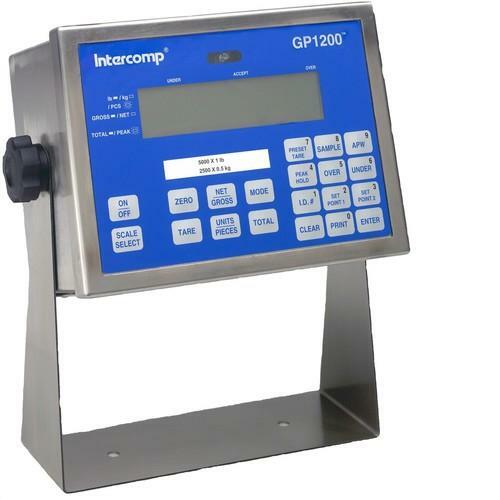 Compatible with Intercomp's AX900 Scales. The small, lightweight design ensures this printer can be used on the go, and it's high speed, low noise mechanism is perfect for any environment. Fully compatable with Intercomp's CS750 Crane Scale, CS1500 Crane Scale, CS3000 Crane Scales, CS5000 Crane Scales, TL6000 Tension Link Scales, CW250 Cargo Scales, TB830 Twin Beam Scales, US840 U-Beam Scales, PT300 Wheel Load Scales, LP600 Low-Profile Wheel Load Scales, GP1000 Indicator, GP1200 Indicator, GP2000 Indicator, GP2000EM Indicator and the MS450 Mining Scale Systems.